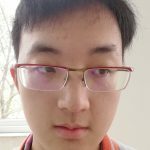 I have won the Canadian senior mathematics contest certificate 5% , the China mathematics Olympic Second Prize and the Euclid mathematics contest 1% certificate. Like playing piano, basketball, taekwondo, cubes and reading detective fictions. I also wrote a novel named “Time Travel” when I was 12 years old. I have great interest in mathematics and economics, I wish I could realize my dream to be a student of Harvard university!